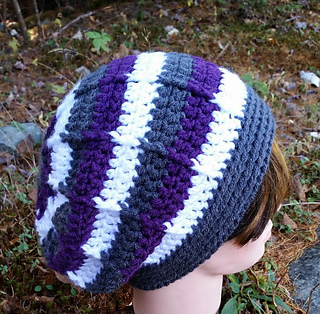 Pretty slouch hat and matching mittens. 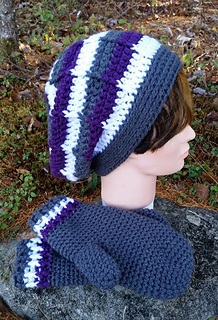 The pattern works up quite fast and is written with row by row instructions with st counts noted on each round. 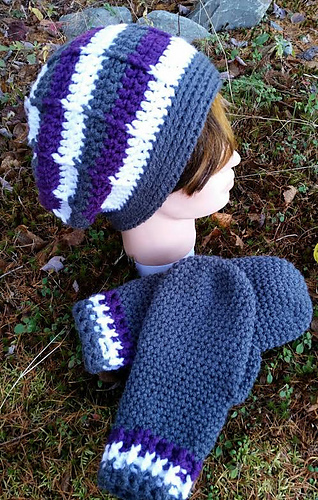 This pattern is suitable for a beginner but needs to be familiar with front post and back post double crochet stitches.